So you are ready to begin your home buying experience. This is a very exciting time in your life. You may be purchasing your dream home, after all! Well, not exactly. Your home buying experience actually should begin with your lender, the place where the money for your new home is largely going to come from. So which lender should you use? Let’s fire up Google, shall we? But wait. What are you supposed to be looking for again? There are some very specific things to understand about the loan process as the mortgage loan industry can be complex and difficult to navigate for those who are going through it for the first time (and sometimes even for those who have done it before). There can be a lot of conflicting information out there and researching companies isn’t always as easy as you may think. 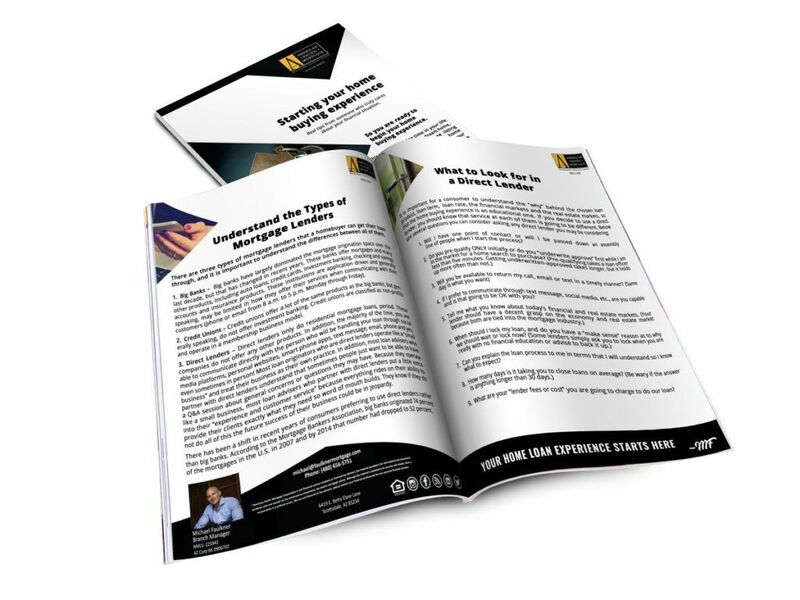 Download our first time home buyer’s guide to learn the specific things you should know as you start your home buying experience!